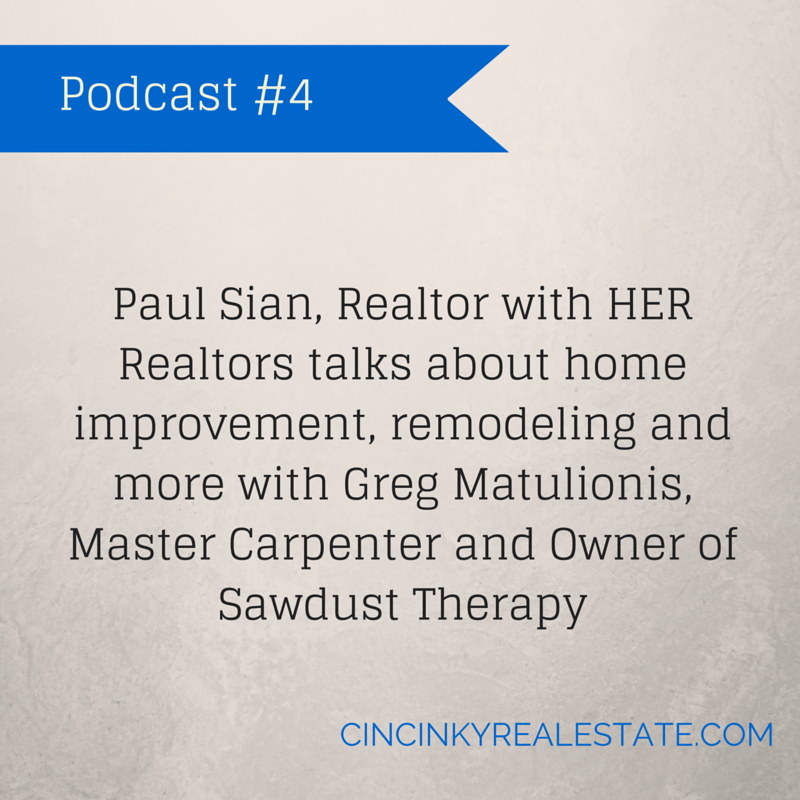 For this podcast I sat down with Greg Matulionis, Master Carpenter and owner of Sawdust Therapy. During our conversation we discussed home remodeling, new construction, permits for home remodeling and more. This podcast is helpful for those about to purchase, or sell real estate or those considering remodeling their home rather than selling. I hope you enjoy the podcast and find it informative. Please also share with those who may find it useful. Feel free to ask any questions via the comments section below or to email either Greg or myself. Also if you have any ideas for future podcast topics you would like to see let me know! You can connect with Greg on Facebook, LinkedIn, Google+, and Houzz.